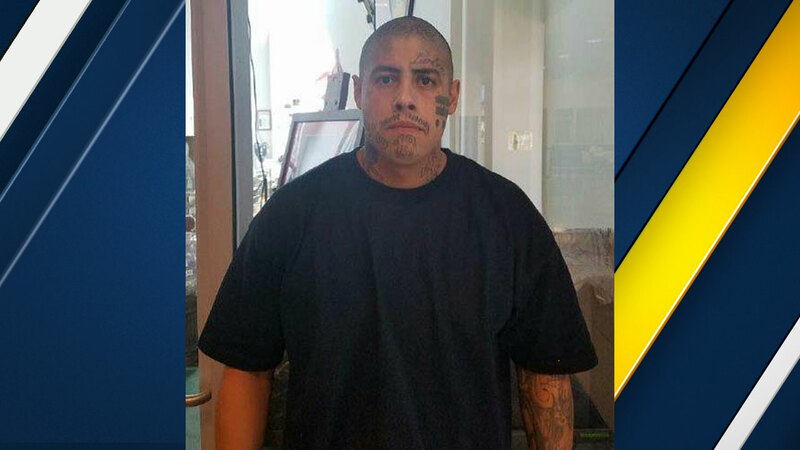 ONTARIO, Calif. -- Ontario, Calif., police are searching for a Pomona man suspected of beating his girlfriend with a metal frying pan at her home. Frankie Sylvester Campos, 27, has a $300,000 warrant out for his arrest and faces burglary, assault with a deadly weapon and domestic assault charges. On Monday, police said Campus entered his girlfriend's home in the 800 block of East Harvard Place and began hitting her on the head multiple times with the frying pan. He fled the scene before police arrived. She was taken to the hospital and treated for non-life-threatening injuries. Campos is described as 6 feet tall and weighs 185 pounds. He has short black hair, brown eyes and numerous tattoos on his head, face and arms. He is known to frequent Ontario and the surrounding communities. Anyone with more information is urged to call Detective Tim Jones at (909) 395-2968.